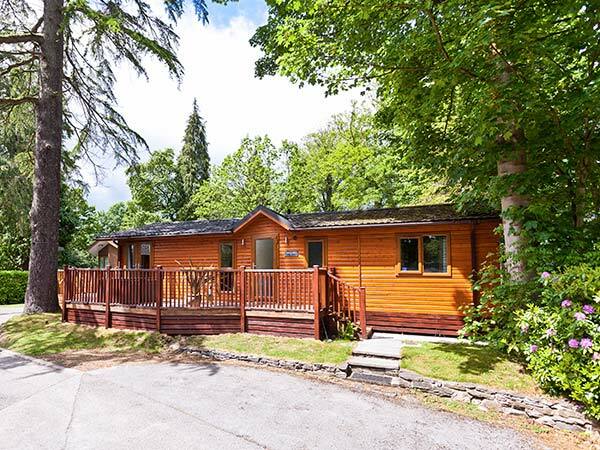 Beech Hill Lodge is a quality detached lodge on a holiday park a short stroll from Lake Winderemere and Bowness. The lodge has a king-size double bedroom with dressing room and en-suite, along with a twin and a single. There is a family bathroom and an open plan living area with kitchen, dining area and sitting area. Outside is off road parking for two cars, and a deck with furniture to the front and side. 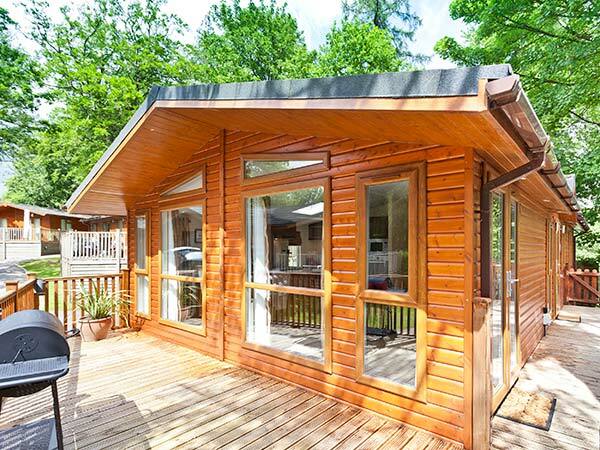 There are on-site facilities including a shop, deli, bar and play area, and the amenities of Bowness are within easy reach, making Beech Hill Lodge an ideal base for exploring this lovely area. All ground floor. Three bedrooms: 1 x king-size double with dressing room and en-suite shower, basin and WC, 1 x twin, 1 x single. Bathroom with Jacuzzi bath, shower over, basin and WC. Open plan living area with kitchen, dining area and sitting area with electric fire. Gas central heating with electric fire. Electric oven, gas hob, microwave, fridge/freezer, dishwasher, TVs with Freeview, DVD, Blu-ray, CD/radio, WiFi, selection of books and games. Fuel and power inc. in rent. Bed linen and towels inc. in rent. Cot and highchair available in property. Off road parking for 2 cars. Front and side decking with furniture and BBQ. Sorry, no pets and no smoking. Shop and pub 2 mins walk. Note: Lodge accessed by 3 steps. We also have details of 146 other similar properties nearby which might suit you.